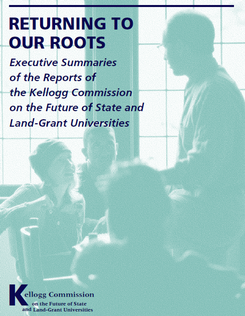 The Kellogg Commission on the Future of State and Land-Grant Universities existed between January 1996 and March 2000 in order to create awareness among public universities of the need for higher education reform. 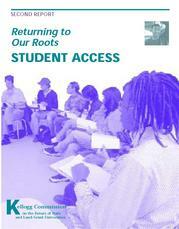 This report in the series focuses on the student experience. The Kellogg Commission on the Future of State and Land-Grant Universities existed between January 1996 and March 2000 in order to create an awareness among public universities of the need for higher education reform. 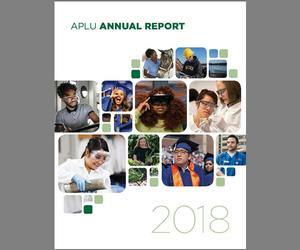 This report in the series focuses on access and diversity. The Kellogg Commission on the Future of State and Land-Grant Universities existed between January 1996 and March 2000 in order to create awareness among public universities of the need for higher education reform. 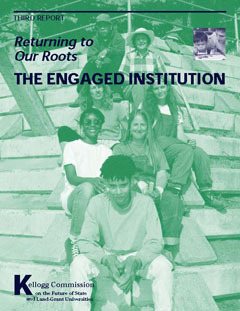 This report in the series focuses on university engagement. The Kellogg Commission on the Future of State and Land-Grant Universities existed between January 1996 and March 2000 in order to create awareness among public universities of the need for higher education reform. 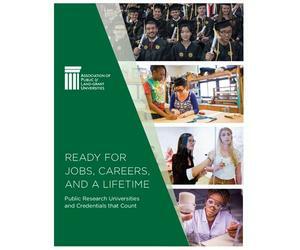 This report in the series focuses on workforce needs. 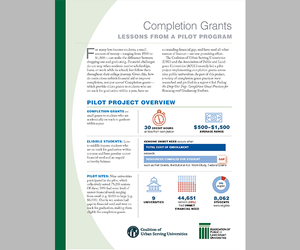 The Kellogg Commission produced six reports to aid universities in bringing about needed change on their campuses. 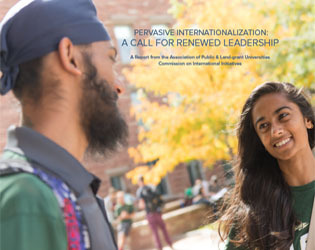 This executive summary compiles the recommendations of the Commission into a guide and calls on public universities to join the Commission in “returning to our roots,” becoming once more the transformational institutions they were intended to be.